Don't get me wrong... I'm in no hurry to rush through the end of my summer days... It really is my favorite, but I love the fall, too. 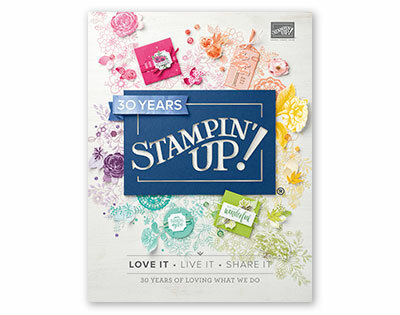 That's why I'm so in love with the new Painted Autumn Suite in the new Stampin' Up holiday catalog. If you're just joining me, I'm counting down some of my favorites from the new catalog over the first 12 days of September. You can view a PDF of the catalog HERE and you can view the products in my online store HERE. We'll follow my 12 days of the Fall for Holiday Countdown with a Facebook party on Tuesday, September 12, so be sure to let me know if you'll be tuning in that night. 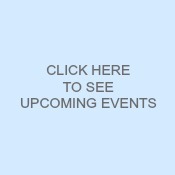 You can click "going" on the event page HERE. And don't worry, it's all online so you don't need to live near me! Anyway, back to today's prettiness... I made a gussied up card today -- just because I was in the mood to play last night. It took me way too long to make (because I kept adding and subtracting, walking away - probably to eat something unhealthy -- and then coming back), but I really love how it came out! Now don't be like me and forget to order the punch for this stamp set (it's actually cheaper if you buy it as a bundle!). So, I had to actually hand-cut those cute little leaf cut-outs. 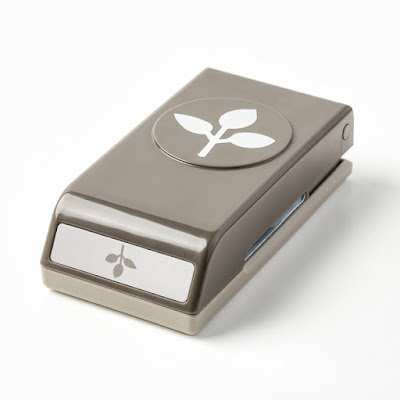 But you -- because you're infinitely smarter than I am - can use the matching Leaf Punch. The stamp set and punch are pictured below and you can see them in the store HERE (as a bundle!). 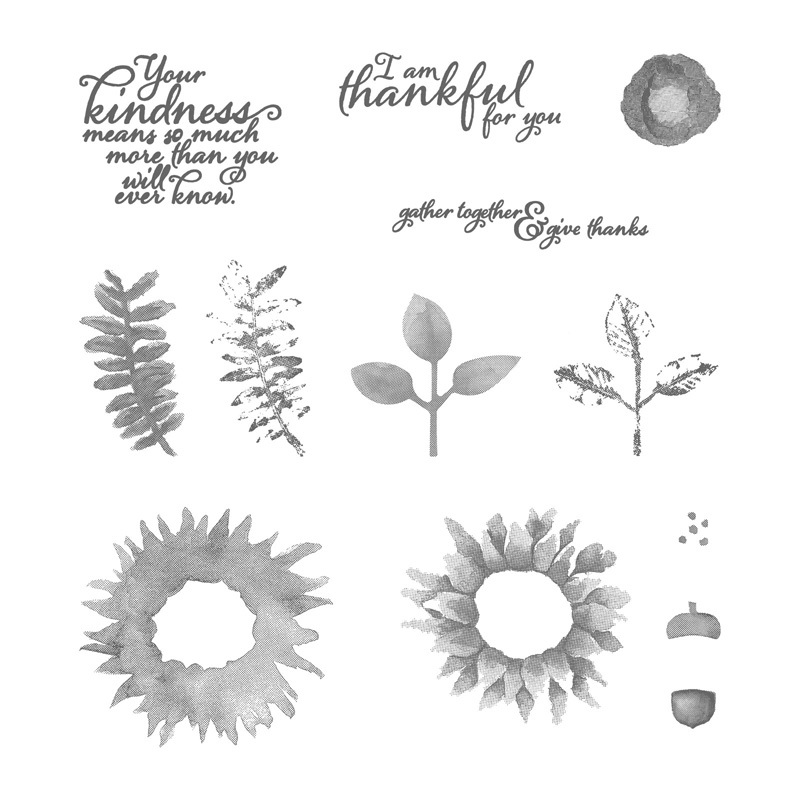 This stamp set is so beautiful... and that sunflower! Oh my word it's so lifelike when stamped. Sunflowers were my Dad's favorite flower, and in fact, I always bring sunflowers with me when I go to visit him at the cemetery. He used to grow them in our back yard and so seeing them just makes me smile. This is such a forgiving stamp set, too. It's got distressed areas worked right into the stamp so there are lighter and darker areas of the flowers so it really doesn't matter which direction you stamp the flowers on top of each other (it's a two-step stamp)... it looks great! I'm sure I'll be playing with this one again, so maybe I'll make a video showing just how easy it is! Well, I'm off to play for a bit... thanks so much for stopping by. Be sure to come back tomorrow when I'll have yet another fun, fall project to share! Ideas for the bundle I ordered! Very pretty! Great Fall/Thanksgiving cards. So glad you are doing this, Jen! Very pretty... love the open space and it really makes a great focal point! 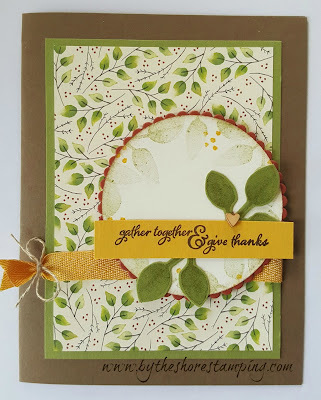 Jen, LOVE that DSP that you used in the card with the leaves! What a "happy" card. Love the stamp set! The punch will be useful with other floral themed stamps! Thanks Jen. 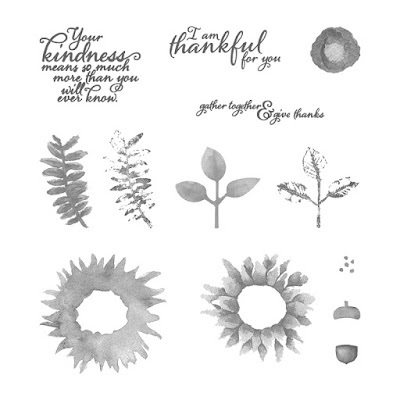 I love the fall and this stamp set combined with the right ink colors will make the perfect fall card! 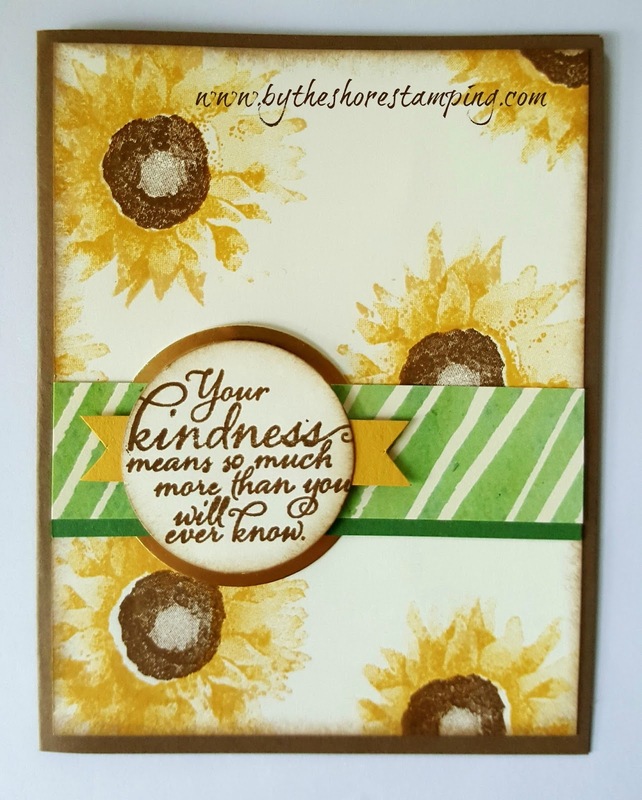 I love these cards... such a gorgeous sunflower image... I've added this bundle to my wish list! I don't mind hand cutting around the stamps..gives it a realistic look! Loving the painted harvest stamp set and painted autumn paper!!! The sunflowers are the best, can't get enough of them! There's so much that can be done with this suite!